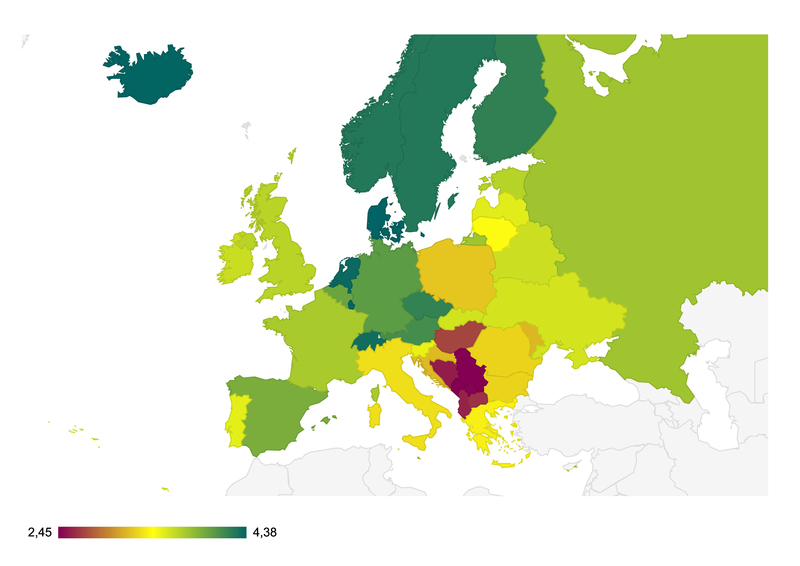 On a scale from 0 to 6, the life satisfaction in the top ten countries was ranked at 4.0 to 4.3, with Serbia and Montenegro in last place with 2.45. "Our data also includes other variables involving social tolerance. As expected, there is a more open climate in the Scandinavian countries, Luxembourg, the Netherlands, and Switzerland,” said Richard Lemke of the Department of Communication at Mainz University. Victimization experiences, such as insults, threats, or physical attacks, naturally have a significant influence on the level of life satisfaction. "Homophobic insults, whether in the form of remarks in passing or explicit abuse, are still very widespread even today," added Lemke. Thus 25 percent of those surveyed in Russia and even 17 percent in Germany said that they had been the subject of verbal insults in 2014, the year before the survey. Even worse: 15 percent of the homosexuals and bisexuals in Kosovo taking part in the survey had experienced serious physical attacks in 2014, which is by far the most negative result. Communication researcher Richard Lemke and his co-author, psychologist Dr. Paraskevas Petrou of Erasmus University Rotterdam, considered two factors to be particularly relevant for their study. "We have known for a long time that there is a close connection between victimization experiences and life satisfaction. But this is determined to a large extent by whether the person integrates the negative view of the outside world in his or her own self-image," Lemke pointed out. Here we speak of internalized homonegativity. The new study looks at this effect for the first time on the basis of a wider body of data, and it would seem that those participants with a high level of internalized homonegativity also suffered more severely when they were exposed to verbal or physical victimization. However, those satisfied with their sexual orientation and who accept their situation are more psychologically robust when dealing with hostility, developing a kind of Teflon character to which abuse fails to stick. The second and rather surprising finding is related to the national levels of tolerance. In essentially tolerant countries, the influence of victimization experiences on life satisfaction is greater than that in intolerant environments. "A positive social climate in no way immunizes individuals against the negative effects of victimization experiences. In fact, the opposite is true." According to Lemke, verbal or physical attacks are rather unexpected in tolerant countries and thus have a greater effect on the affected individual. In contrast, attacks in a homophobic environment are seen as a reflection of society and less as personal attacks.